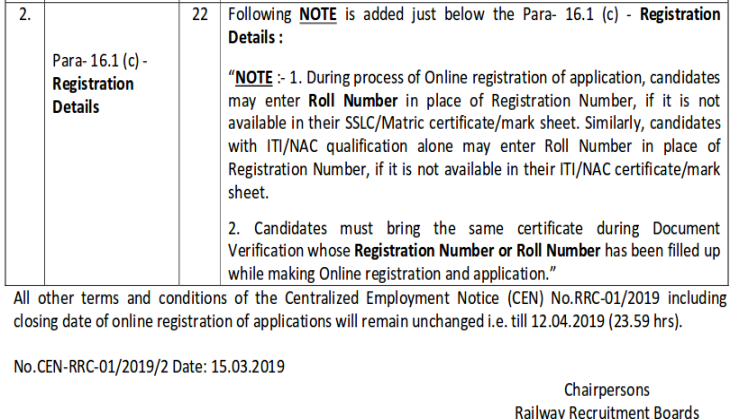 Railway Recruitment Board has released a new notification and made a big change for candidates who will be going to appear for the Physical Efficiency Test (PET) under the advertisement RRC-01/2019. 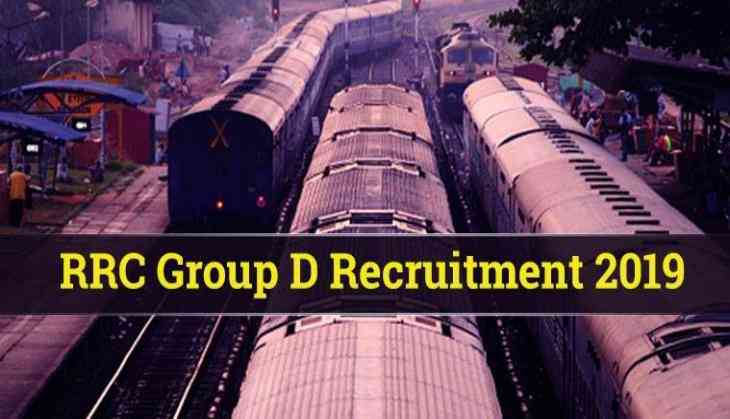 RRC has released the job notification for RRC Group D exam on 23rd February 2019 and the application process for the Level 1 jobs has been started. 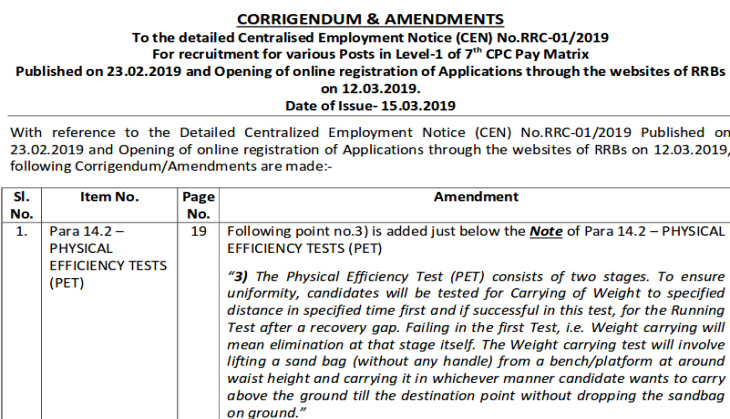 Now, in the new notification, RRB has said that candidates will have to carry some weight during the PET exam. A candidate who will qualify this test then only they would eligible to appear for the exam. It has been clearly notified in the notification that candidates will have to qualify two different stages of the exam and those who will qualify the first stage test then only a candidate will allow appearing for the second stage test. Railway Recruitment Board has also made some changes to application procedure in the ongoing recruitment process. As per the latest notification, candidates while updating their application form can also enter their roll number in place of their registration number. RRB has released a total of 1,03,769 vacancies on Level 1 post. However, the application process has already begun and the last date to apply for the same is 12th April. Application forms can be submitted till 26th April and application fee can be paid till 23rd April, reads official notification.